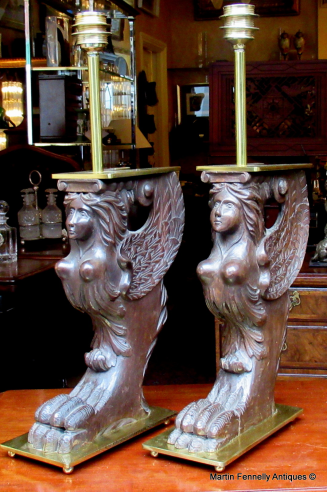 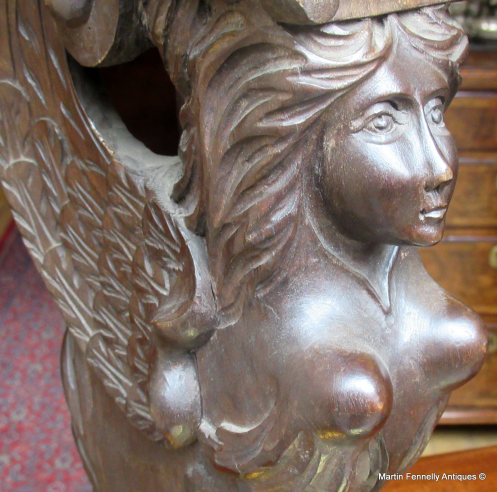 These are an interesting pair of Carved Wood Table Lamps. 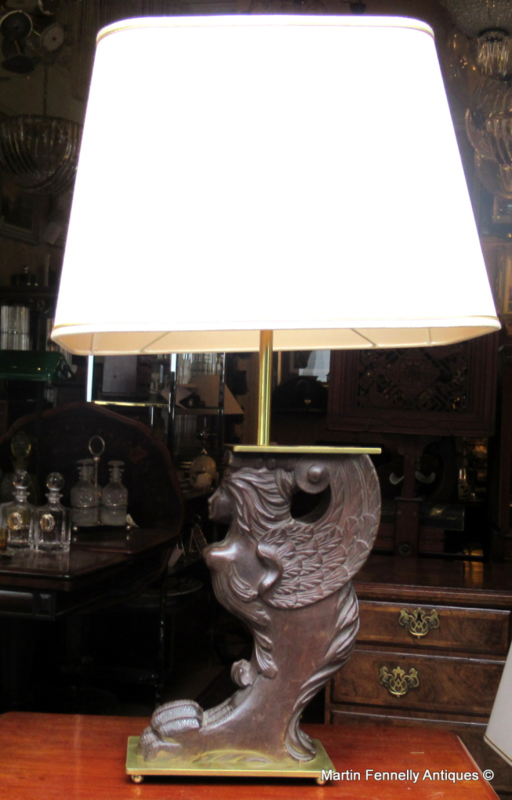 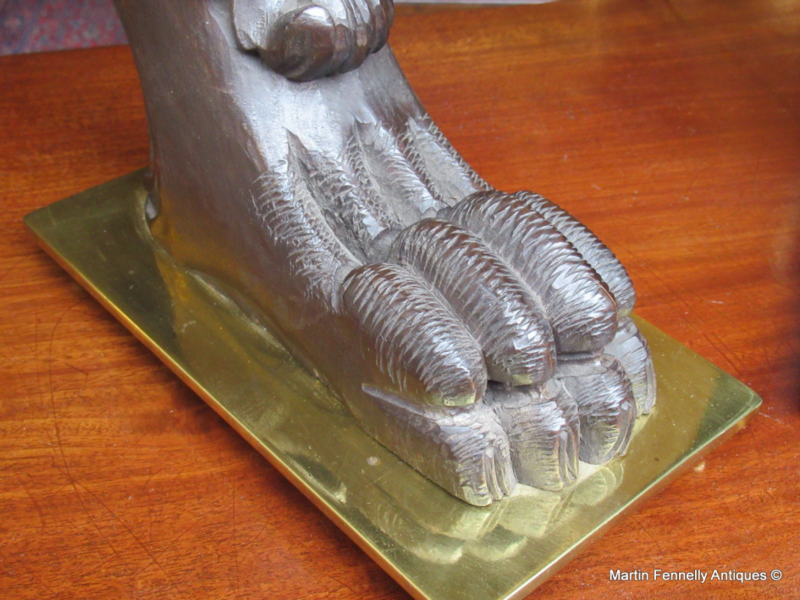 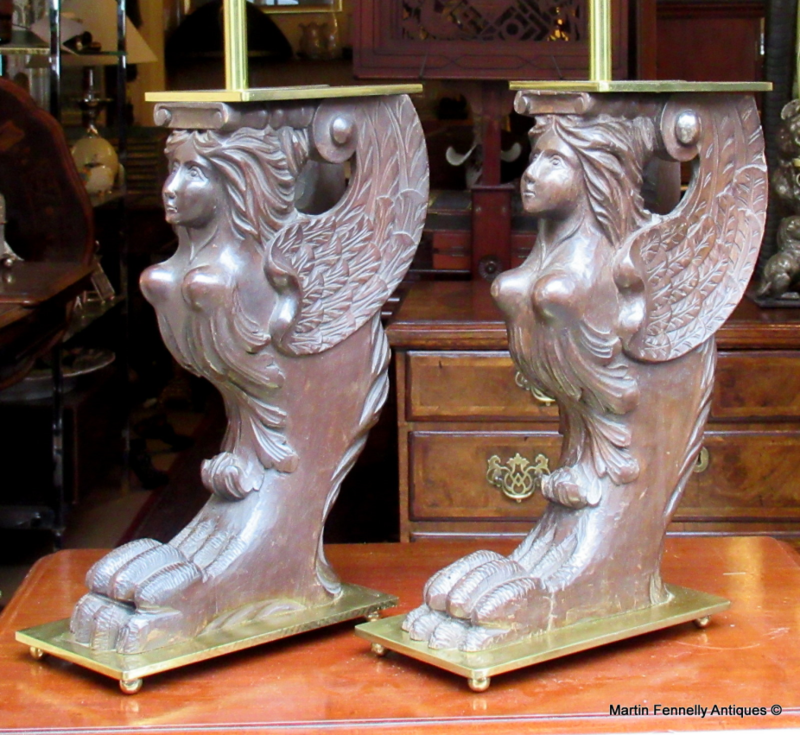 The Sphinx themed lamps were once a pair of Hand Carved Sculptures that were converted to electricity and now make a wonderful design statement as Table Lamps. They come complete with matching shades.